We are now open for submissions for two exciting new anthologies: Detective Mysteries and Epic Fantasy. Due to be published in September 2019, these add to our Gothic Fantasy series, which includes existing titles like Supernatural Horror, Robots & Artificial Intelligence, Dystopia Utopia, American Gothic and more. Again, we are looking for around twenty to thirty short stories by contemporary writers to complement a selection of classic tales in these anthologies. We are keen to encourage new writers, without prejudice to age, background or previous publication history. It’s the story that matters, and the quality of writing. Detective Mysteries: Private Eyes with eagle eyes and rare skills, PIs and gumshoes, bloodhounds and sleuths: the shadowy arts of the detective have intrigued us since tales of the Pinkerton Detective Agency and Sherlock Holmes. Add some treachery, intimacy, and a little murder to the mix and you'll find a powerful series of dark stories from classic and contemporary writers. Epic Fantasy: George R.R. Martin drew on Tolkien, who was inspired by William Morris, Medieval epics, and Norse mythology. This new collection of epic fantasy tales explores the classic themes of good vs. evil, the low-born hero, and the arrogant overlord, lacing them with a taste of sorcery that reaches back to the early sources and stirring them in with the brand new storytellers of today. We are looking for new and recent short stories. We do not require exclusivity. You hold copyright, licensing us just for this publication. We don’t mind if your story has been previously published online or in print (though we do need to know publication and date). Simultaneous submissions are fine, but you must have the right to license your story in an anthology. Word length is most likely to be successful at 2000–4000, but we will still read stories slightly outside this range. We pay Science Fiction & Fantasy Writers of America (SFWA) rates of 6 cents per word. We would prefer to pay via PAYPAL because bank charges to the US and Canada in particular can be crippling for all concerned. Payment for the chosen stories will be made within 30 days of the final advertised publication date (see our website flametreepublishing.com for details), although some may be paid earlier than that. Submission does not imply the right to publication. Each story will be read and assessed by the selection panel. Please submit in .doc, .docx or .rtf formats, double spaced, with your name and email address in the footer or header of each page. We will aim to read each story and confirm its status within 3 months of the submission deadline. 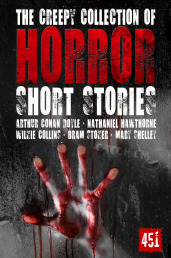 The anthologies will be published worldwide, available online and to bookstores worldwide, in print and ebook formats. 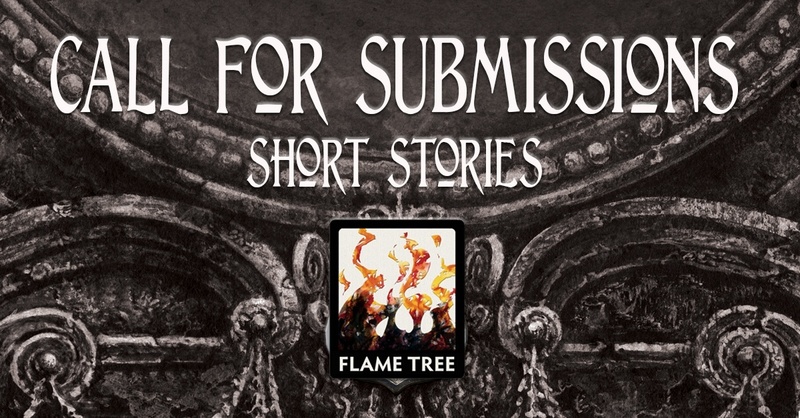 You can submit more than one story, and to each collection. Final submission date is 24 March 2019. The selection will be made by our group of life-long, in-house enthusiasts: Nick Wells (Publisher), Josie Mitchell, Gillian Whitaker, Cat Taylor and Taylor Bentley. To confirm, we are an SFWA qualifying market, so being published by us will help your status with them of course, but also with other readers and writers. Now over 25 years old we started in 1992, covering a wide range of art and culture titles, with a strong vein of highly-illustrated Gothic and Fantasy books, notebooks and art calendars. 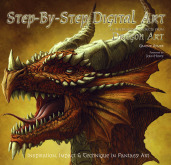 Our Gothic Dreams books include Necronomicon, Steampunk, Dystopia, our large format titles Gothic Art, Fantasy Art and Dragon Art are sumptuous, and we publish gothic fiction reprints by Mary Shelley, H.G. Wells, Jules Verne, and more, in our Flame Tree 451 imprint. 2017 and 2018 also saw the publication of our Astounding Illustrated History of Science Fiction and The Astounding Illustrated History of Fantasy and Horror. Our anthologies are designed to be read in print. They look and feel fantastic. You’ll feel proud to hand them to your friends, family, colleagues – so do send us your story! Thank you, and good luck. We look forward to reading your tales of imagination.